Russia’s prison camps are the stuff of legend and whispers Activists create Facebook groups to forlornly ask for their closure. Inside giant ministries, these little dots on the Russian map are allocated resources – petrol drums, timber saws, processed chicken quotas; sometimes, even a new boiler. That last item is how I came to know about prison camps. For two years, I worked with a small company installing Italian boilers into institutional buildings across Russia’s vast Perm region . For a territory that borders Siberia, nothing should be more crucial than its boilers, but these are breaking down: festering Soviet tanks, horrific nineteenth century hunks – things unspeakably defunct. We installed boilers in Tatar villages where only broken Russian was spoken, in Komi settlements during wild Pagan festivals, in the schools of potash colonies each with their own swimming-pool-sized nuclear bunker; and in the north of the Perm region. Russians living in this territory, larger than England, call the south 'our land'; the north they call 'the Zone'; this is because the north is a map covered in prison camps. We had an order to install a boiler in Nyrob. We drove for hours. Along the road we met the locals; unnerved by our destination they all cracked the same joke: 'Wherever you commit your crime, you will be punished in Nyrob.' Outside the window, barbed wire began to border the road; we began to see watchtowers – the beginning of the Zone. Wherever you commit your crime, you will be punished in Nyrob. Nobody in the boiler team I was working with seemed particularly fazed:'The Zone is the Zone,' they said. Forced labour is no historical memory in the Perm region, for the north is still an archipelago of camps and correctional centres. Officials hide this reality under the name AM-244, a network of five 'correctional colonies of the strictest regime,' dotted along the banks of the cold rivers Vishera, Kolva and Berezovaya. There are 18 other 'correctional colonies' in the Perm region, including a colony for prisoners isolated with TB, one for juvenile delinquent prisoners and a psychiatric prison. The Zone has created its own legend – from the economy to the mentality. Russia’s second gulag (after the Belomor Canal) was opened here: the gigantic industrial pits in Berezniki. Today, the mines that were dug by forced labour are part of the world’s largest potash producer; it still has the name of Uralkali. At last, we arrived in Nyrob – a 'forest labour correctional colony.' Nyrob is as remote as it gets; and being here is like walking into a Zamyatin society. Almost everyone is in uniform: the black jumpsuit for prisoners, and the blue camouflage jacket for guards. You see the navy-blue army-style suit with a matching hat for higher ranks, and the white hats for the kitchen staff; not to mention the black cassock worn by the Orthodox priest. Everything seems organized. Everything seems fixed. This is not the case. Wearing a prisoner’s jumpsuit does not mean that you will never wear a guard’s blue camouflage jacket; nor does it mean that you will wear civilian jeans ever again. The distant prison colonies are different from the urban lock-ups: unlike the penitentiaries, places like Nyrob are characterized by a deep integration of the lives of prisoners and the lives of villagers. Nyrob is classed as a 'prison settlement'; what this means is that the inmates become quasi-villagers. They are not confined to the high-security prison. Within very prescribed hours, prisoners are allowed to wander around the village, a place so remote and inaccessible, the authorities have concluded there is nowhere to run. There is a twisted dependence of the village on the prison. This situation encourages a twisted dependence of the village on the prison; and twisted family lives. While the trickier bolts of the boiler were being installed into the base of the prison building, I wandered around Nyrob. I met a crippled inmate in a wheelchair. He sighed: 'Life is hard…. My girlfriend is here but my wife lives in the South.' While talking about his wife he watched over his girlfriend. She was a small, pale girl in her early twenties. Her over-sized coat was covering her heavy pregnancy. This is the type of separation which those in Russia’s prison colonies have always endured. The Internet, however, gives this historical familial pain a contemporary resonance: if you want to understand, read the forums for prisoners’ wives. 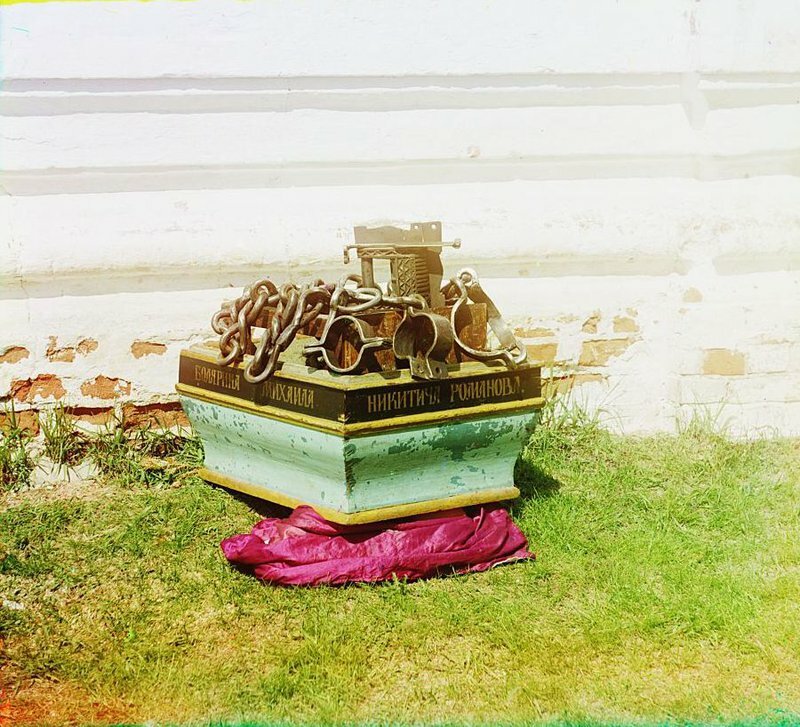 The most popular site for the wives and mothers of men locked up in the prison colonies is named Dekabristki.ru a reference to the wives of the Decembrist rebels sent to Siberia, whose stoicism became a byword both for their steadfastness, and Tsarist cruelty. The main forum topics are how to reach the remote destinations (local residents often offer their taxi services to make money); what to bring with you ('Don’t forget to bring bottled water for the whole duration of your stay, as there is no clean water there'); and comments on how the prisoners are treated (with details on which guards are 'nice' or not). He pointed to a yellow-painted trailer at the end of the road. 'That’s where she is, where else would she be?' A second later, I realized that 'she' was his wife, and that the trailer was in fact a beauty salon. He was rushing to the trailer to pay for his wife’s manicure, which cost a meagre fifty roubles (about one pound sterling); and was still a struggle. Either you work in the prison or you drink. The Zone is our life-line. The manicure paid for, the guard talked about the colonies: 'Look, it’s like this: either you work in the prison or you drink. The Zone is our life-line.' He is not wrong; with the collapse of the forestry industry in the 1990s, the locals now have no choice but to depend on the prisons for employment. Having signed the boiler contracts, and paid in cash for its installation, local officials explained how, outside of Nyrob, the villages are dying; in 2013, several communities that had once been several hundred strong, died a death. Everyone living here fears that one day Moscow will close the prison. The dead villages have spooked Nyrob. Everyone living here fears that one day Moscow will close the prison, thereby killing the village. Like the arrival of Gogol’s Inspector, rumours spread annually that officials are on their way to close up the colony. Irony of ironies, but the locals want nothing more than to remain a prison colony. Nyrob prays nightly for the salvation of the prison. The priest leads them in prayer that the prison colony will always be full. Fear, perhaps, is why the Orthodox Church has become ever more central to life in Nyrob. A beautiful 18th century baroque church rises up alongside the watchtowers; the most beautiful church in the Urals; and the only one with a congregation for miles around. That such a beautiful church should exist in such a place is no accident. In 1601, Boris Godunov – he of Mussorgsky’s opera,– sent his principal rival Mikhail Nikitich Romanov, to exile in Nyrob, where he was thrown in an uncovered deep hole. He survived for almost a year thanks to the piety of local residents who threw him scraps and water. He was eventually buried here, but not to rest for long; as soon as his nephew became the first Romanov Tsar of Russia, his body was triumphantly restored to Moscow. 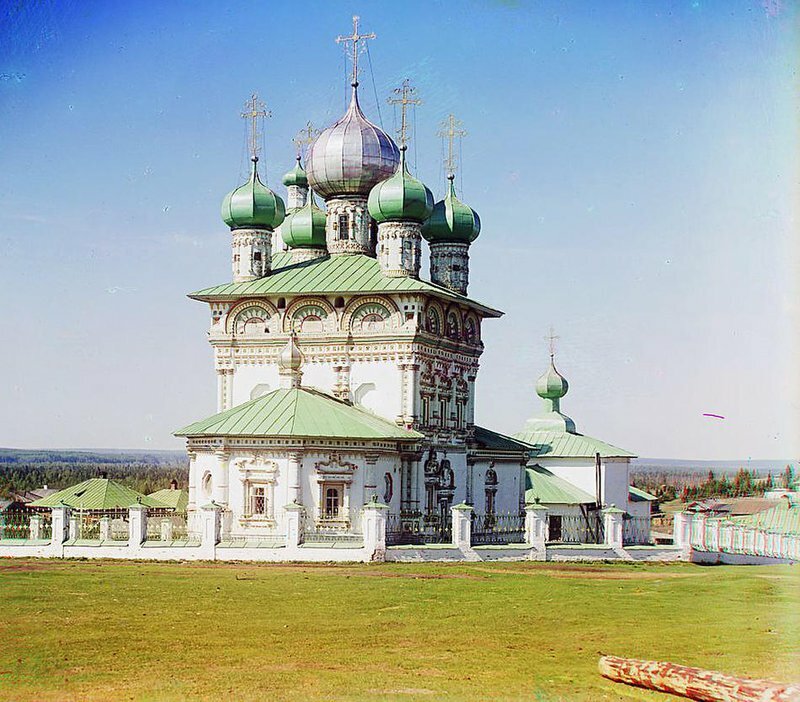 In return, Nyrob received this beautiful church as a gift for protecting the Romanov family. I came to Nyrob to install two boilers. The first time, in 2010, that deep hole was still left bare to the open sky exactly as it was when 'Uncle Nikitich' was freezing to death in it; the local authorities must have cleaned it of the crushed stones that covered the hole during the Soviet era, when it was transformed into a dance floor for prisoners and villagers. When I returned with a second boiler in 2013, a chapel had been built over the hole; and an uneven gate, decorated with the Romanov insignia. I follow him down to the underground chapel. Here, where a forgotten Muscovite boyar probably went insane four centuries ago, the priest at least is happy: 'Now that the chapel is finally built, he can rest happily.' When we surface, the sight of the watchtowers is almost comforting. Nyrob has always had a hold on the Russian imagination. 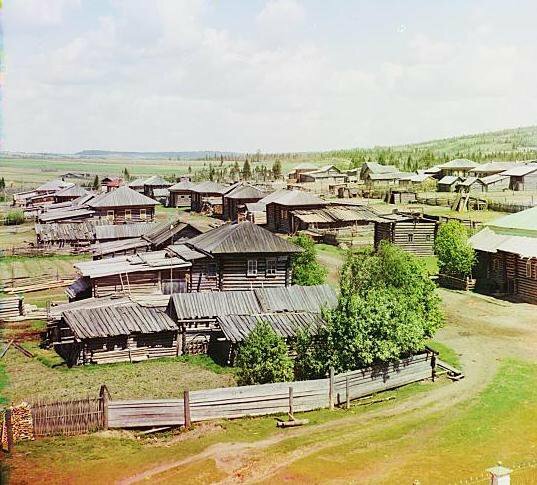 Nyrob has always had a hold on the Russian imagination – look at those photographs taken by Sergei Prokudin-Gorskii, before the 1917 revolution; the surprising colour only highlighting the desolateness. I have my doubts: 400 kilometres of endless forest road separates Nyrob from Perm; drunks sleep in doorways; watchtowers loom over the village; most houses have no running water. Russians, however, believe in miracles…. 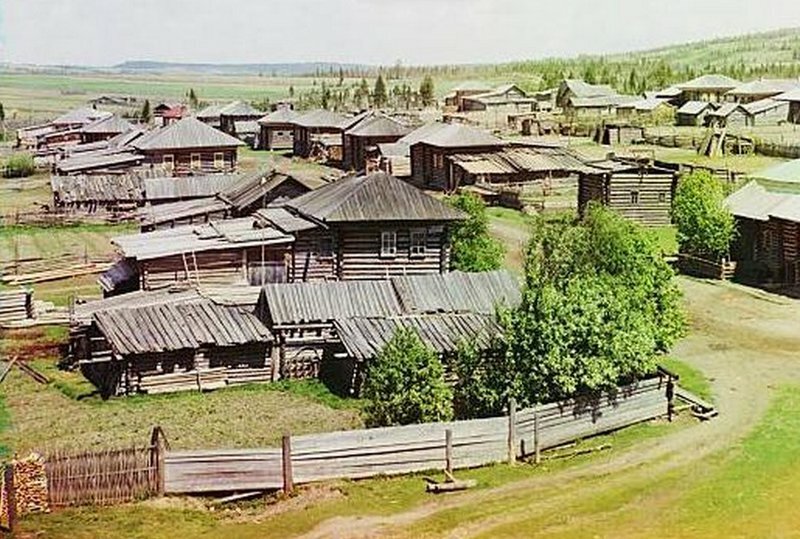 In late August, a group of fifty people from Kostroma, settled in an abandoned village near Nyrob, awaiting the resurrection of Uncle Nikitch. On the 8th of October, Perm’s administration tabled a meeting on what to do with these unexpected arrivals; and what can you do with people who say that they are waiting for the resurrection of the man who was meant to be the first Romanov Tsar? That he will restore Russia to glory.